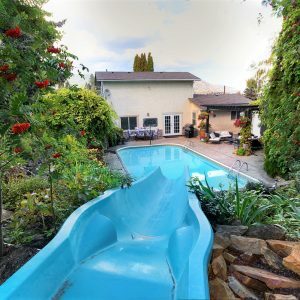 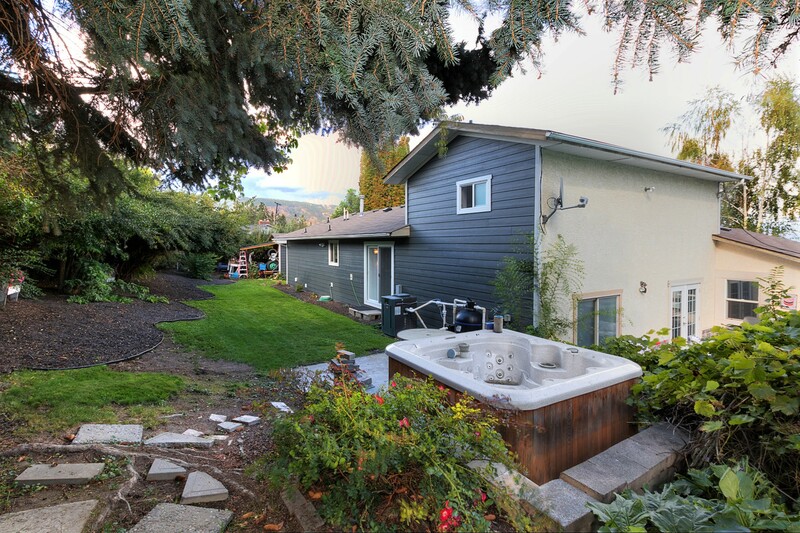 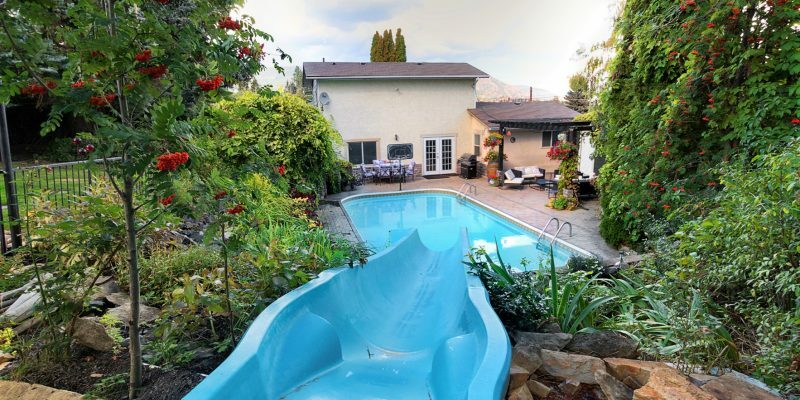 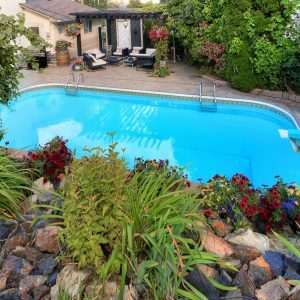 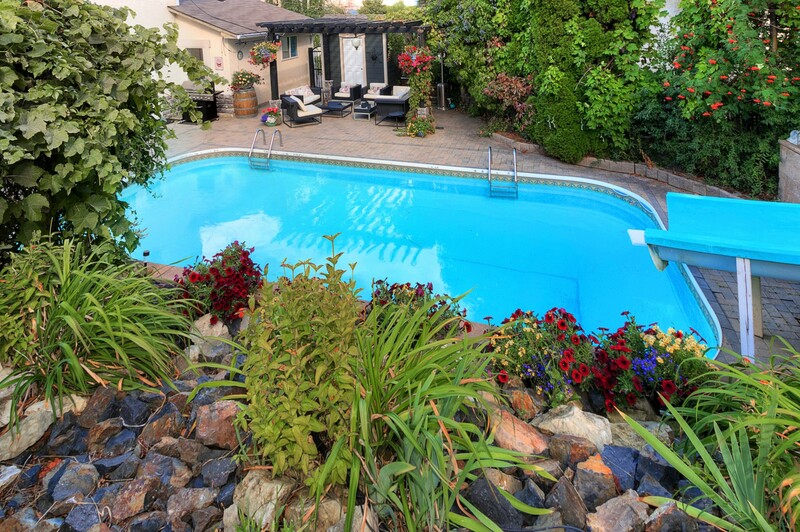 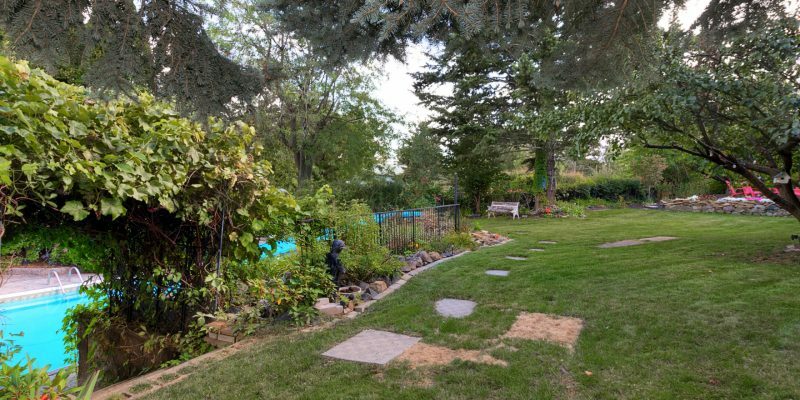 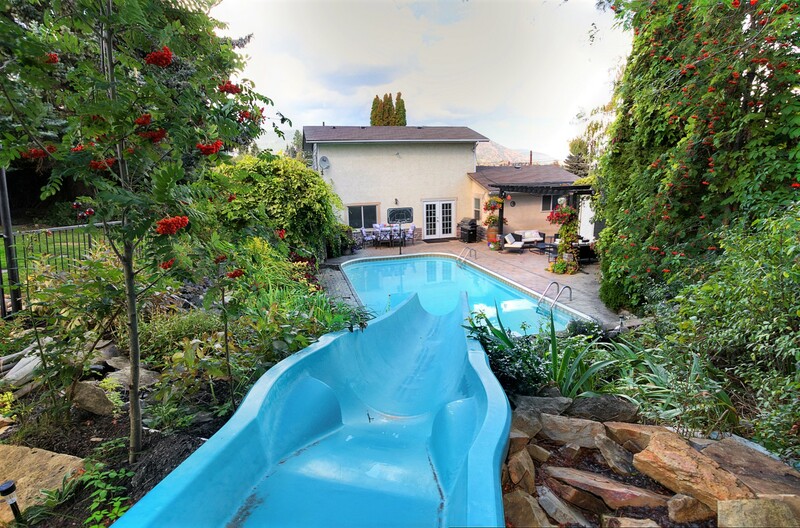 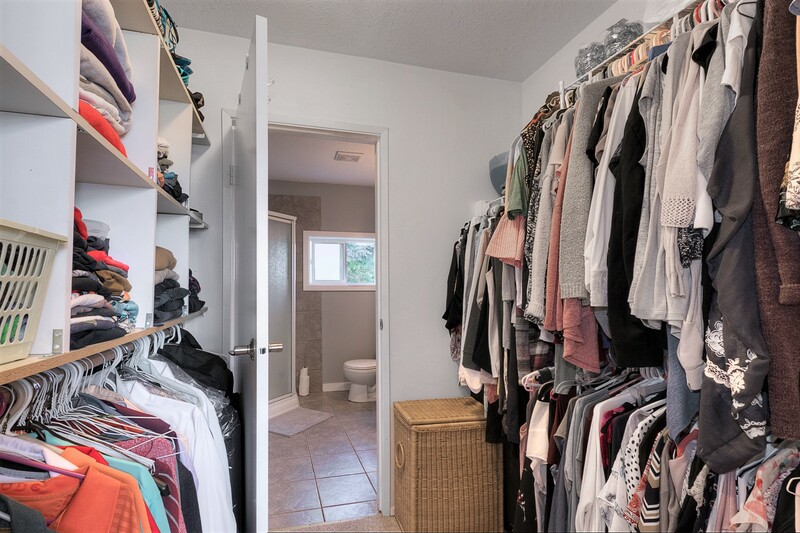 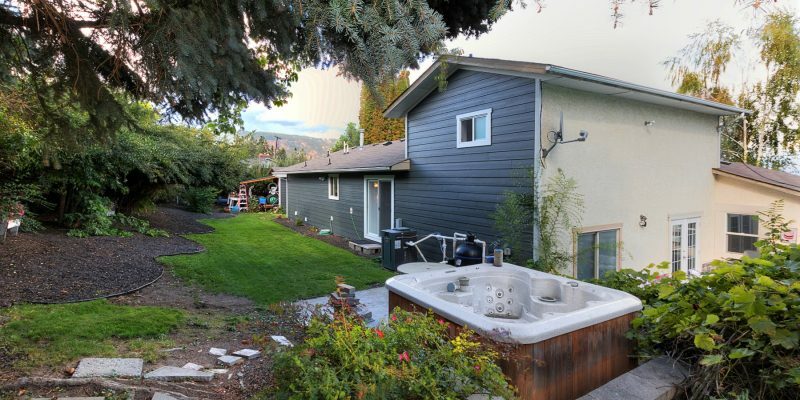 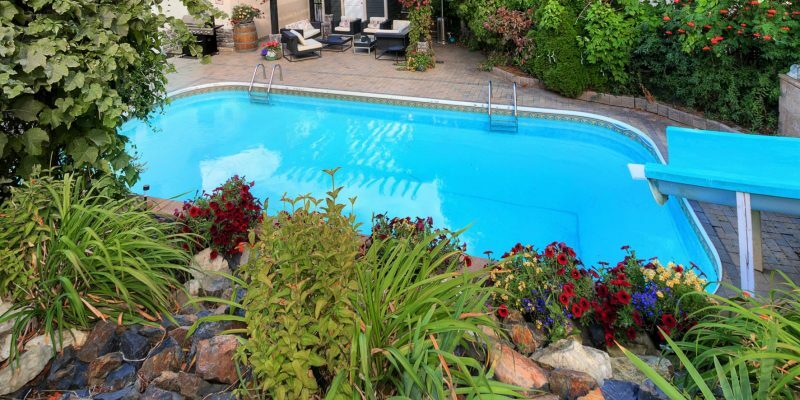 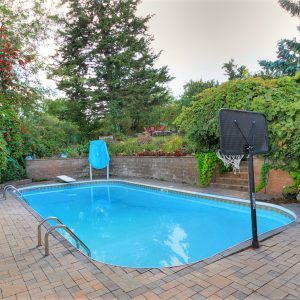 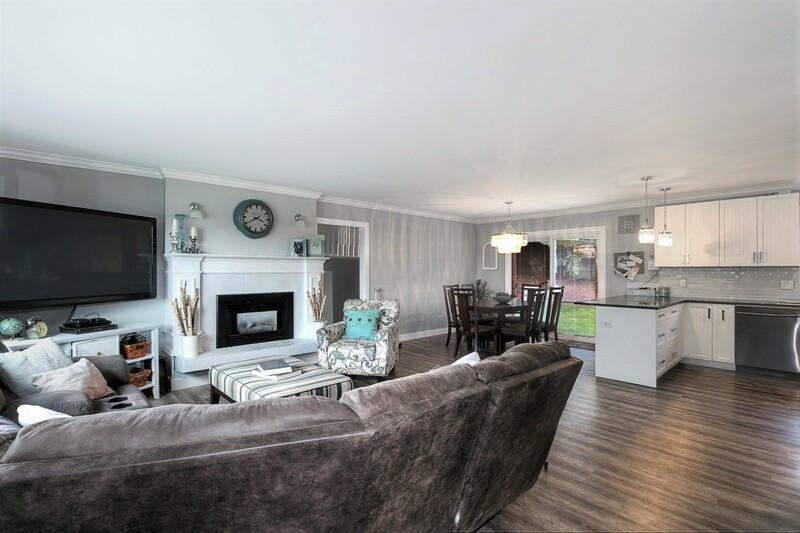 Within a quiet culdesac of West Kelowna awaits the perfect renovated family home with a pool & your very own built-in waterslide on a big private lot with RV parking and lots of fruit trees! 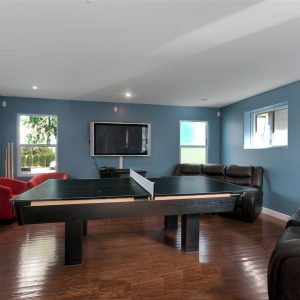 The ultimate family purchase for parents with tweens and teens! 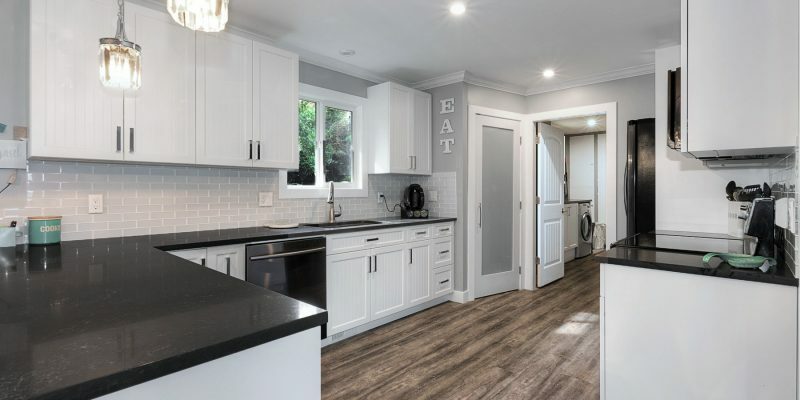 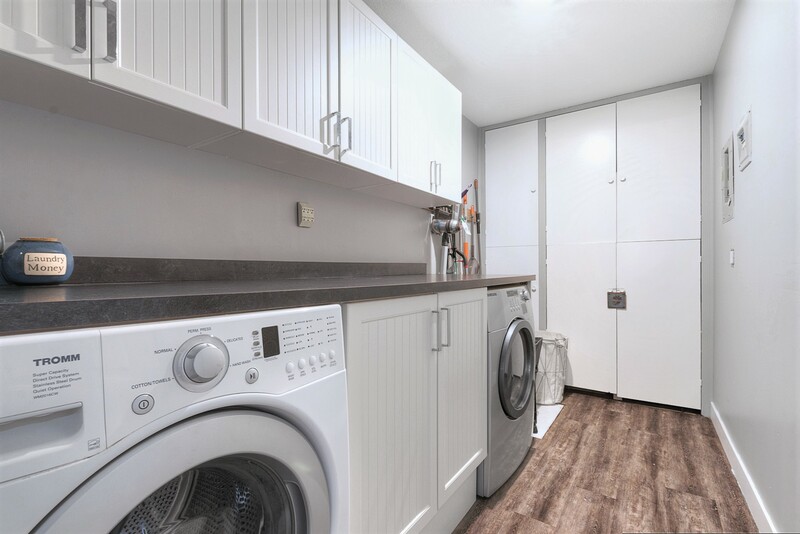 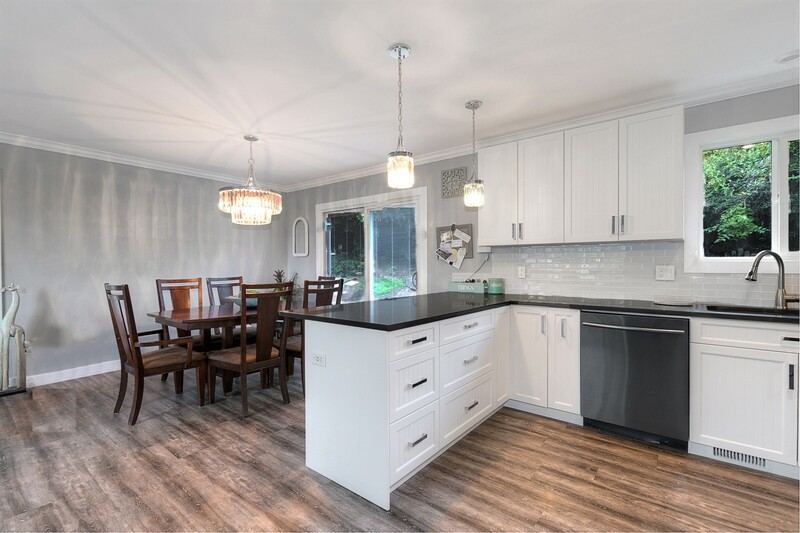 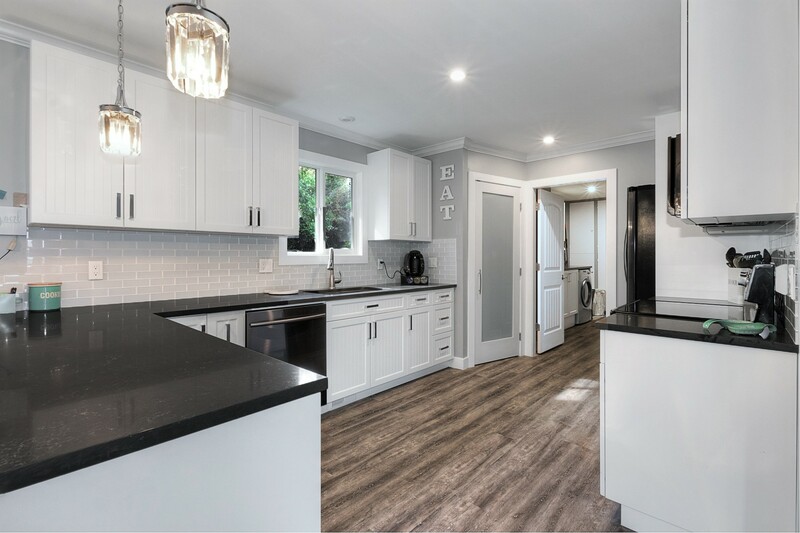 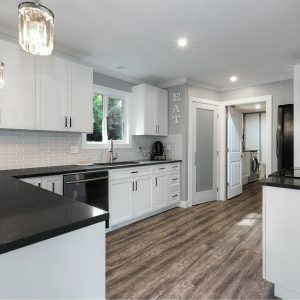 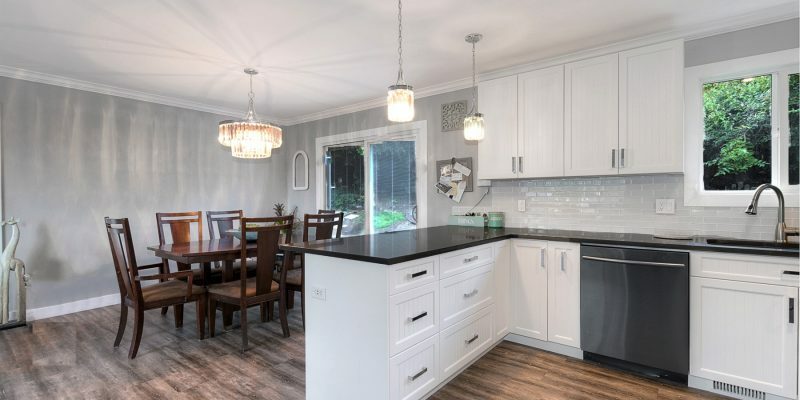 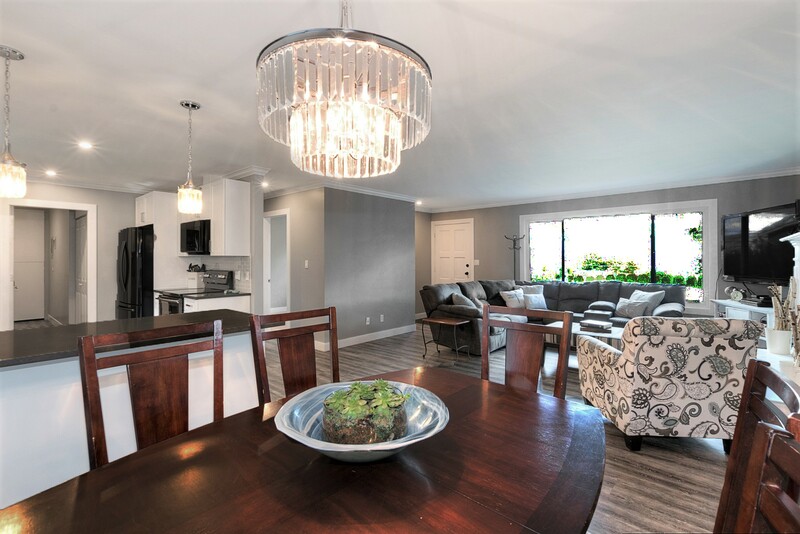 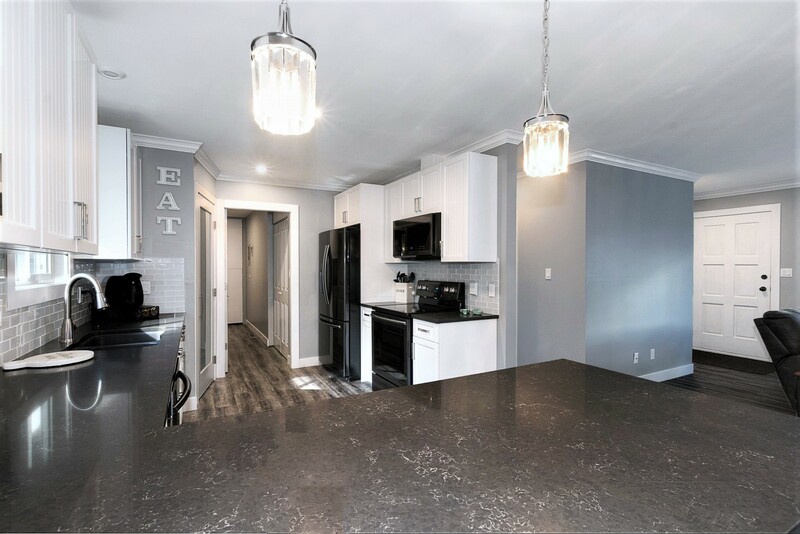 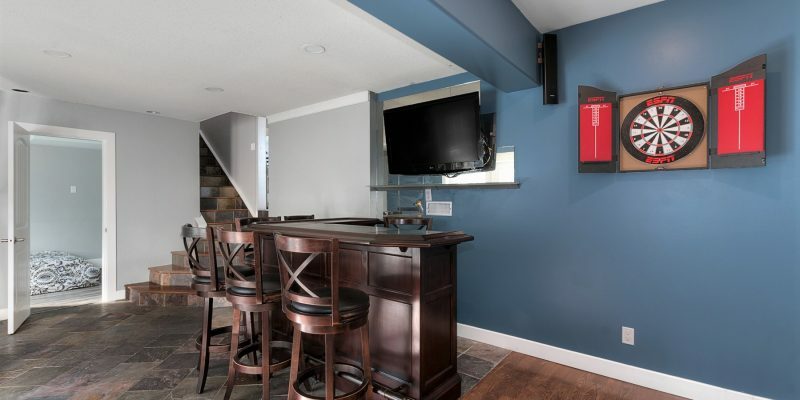 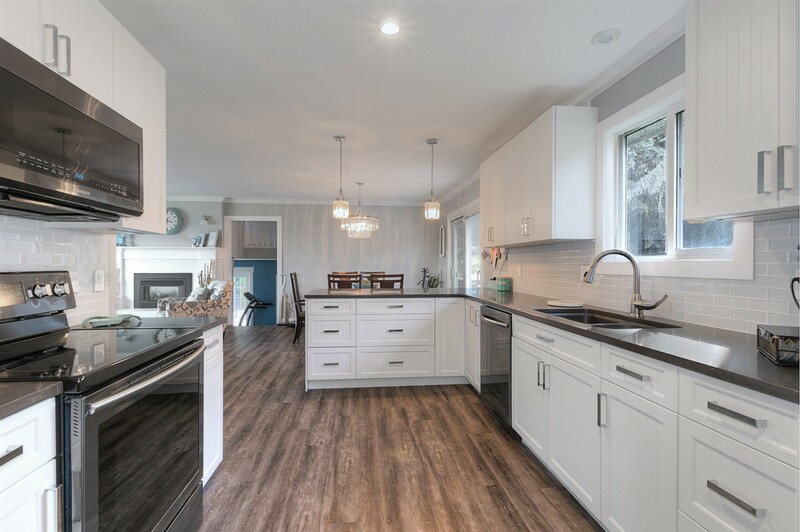 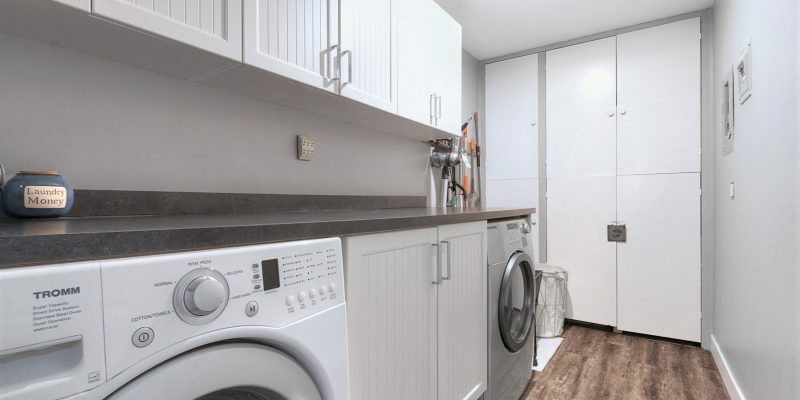 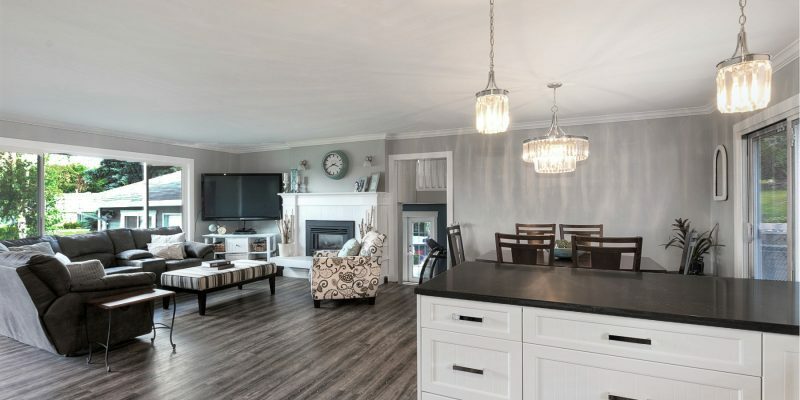 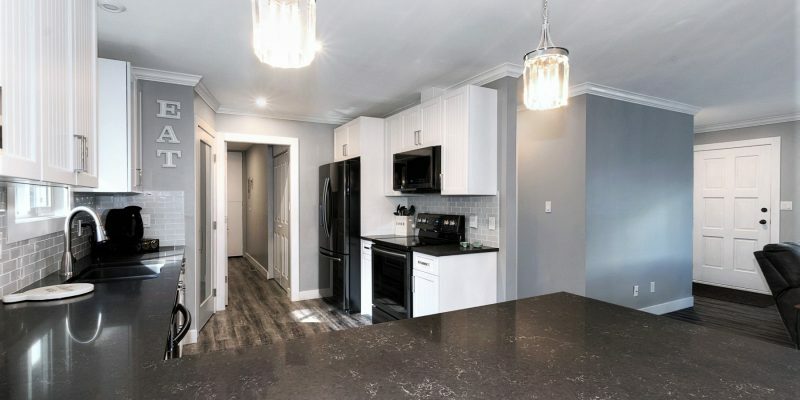 A recently renovated open concept white kitchen with Samsung appliances. 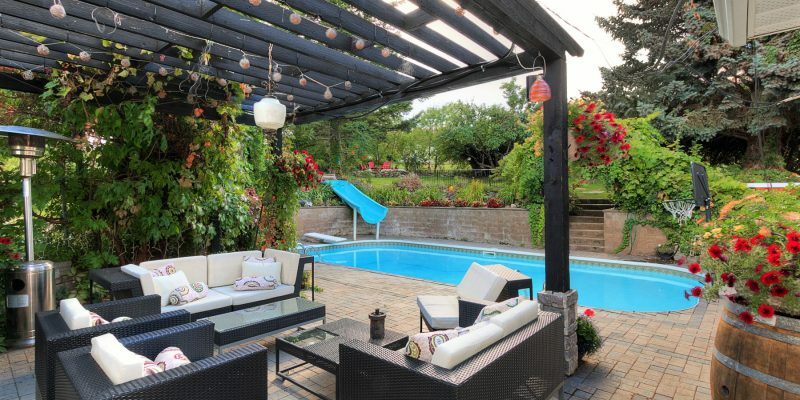 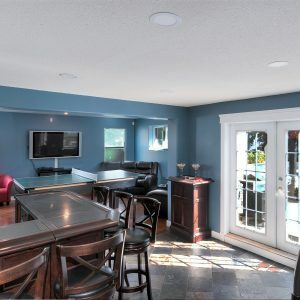 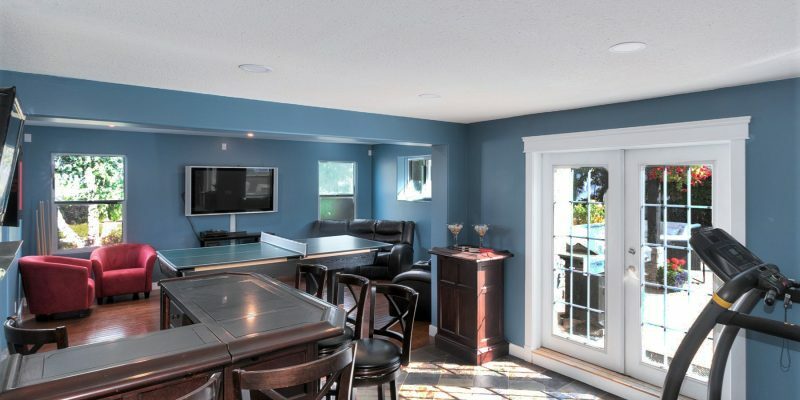 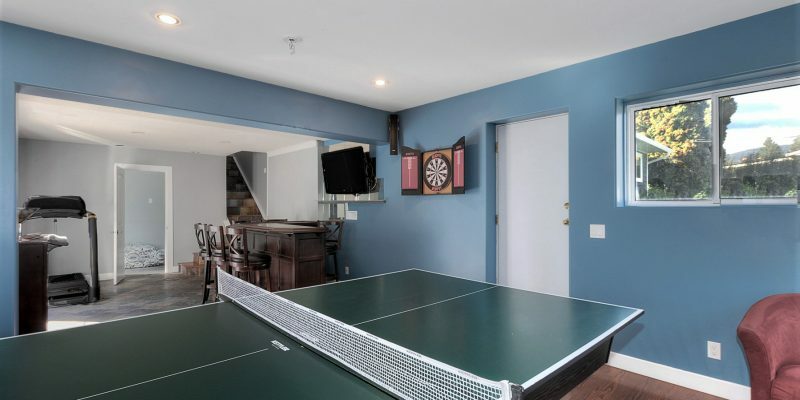 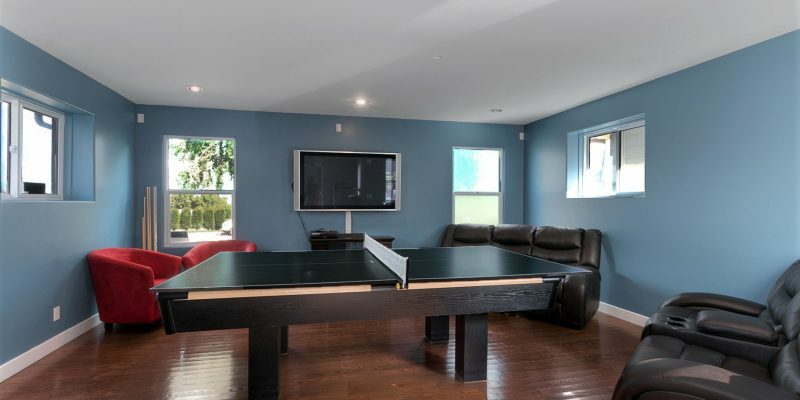 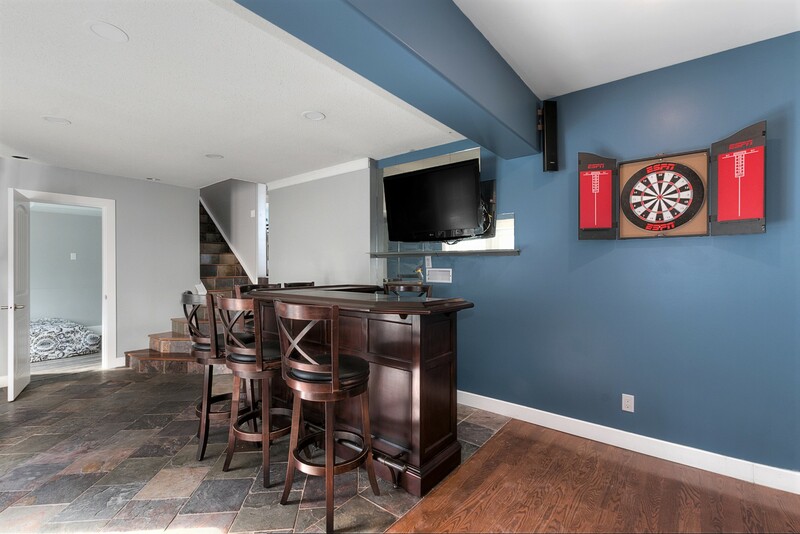 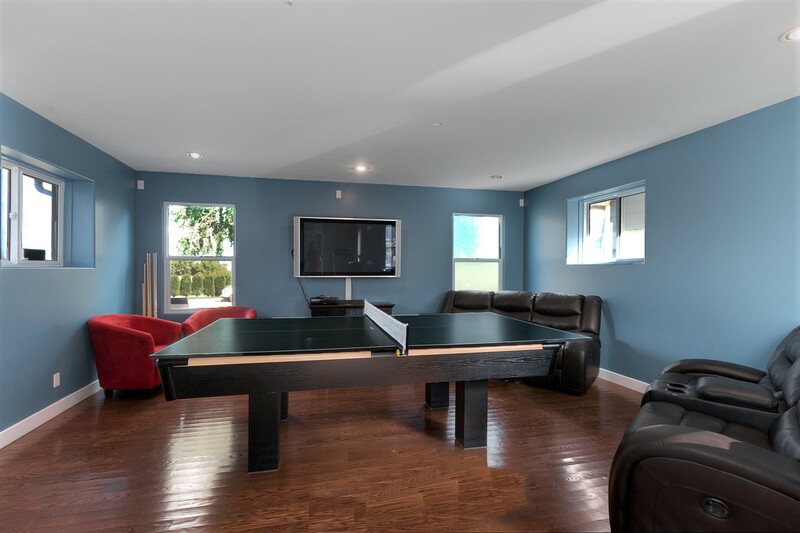 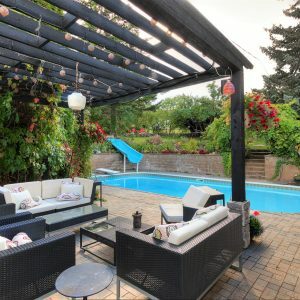 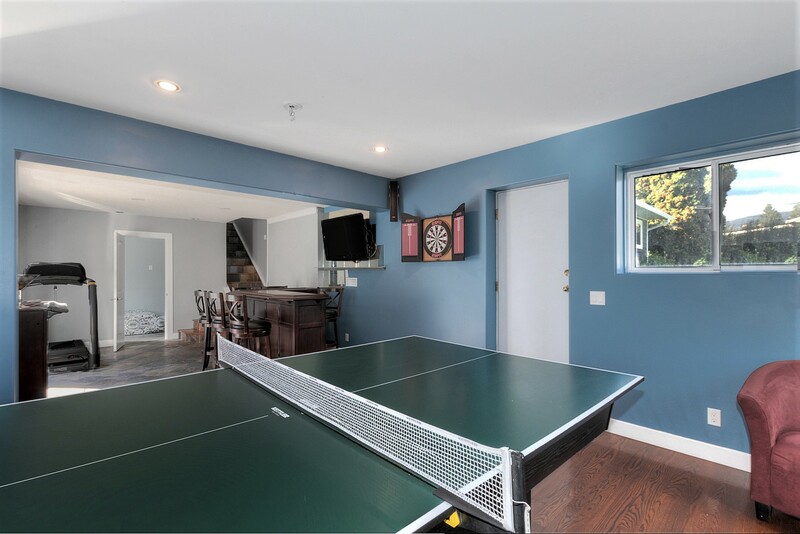 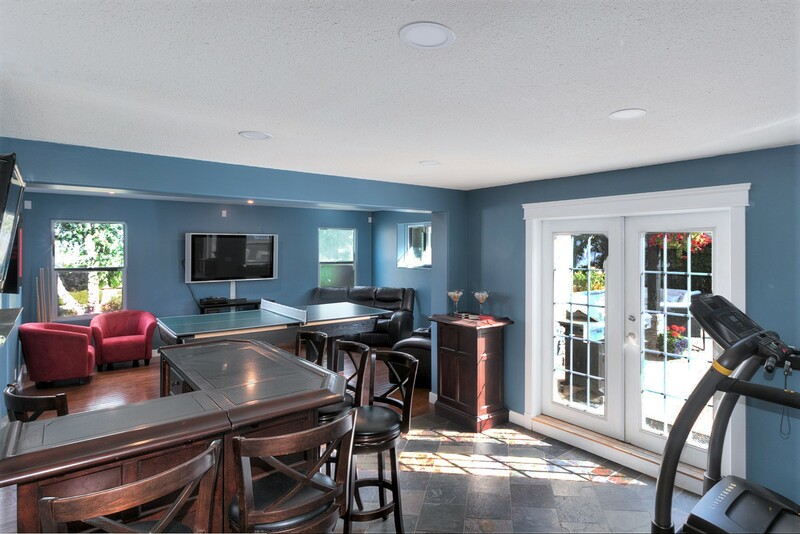 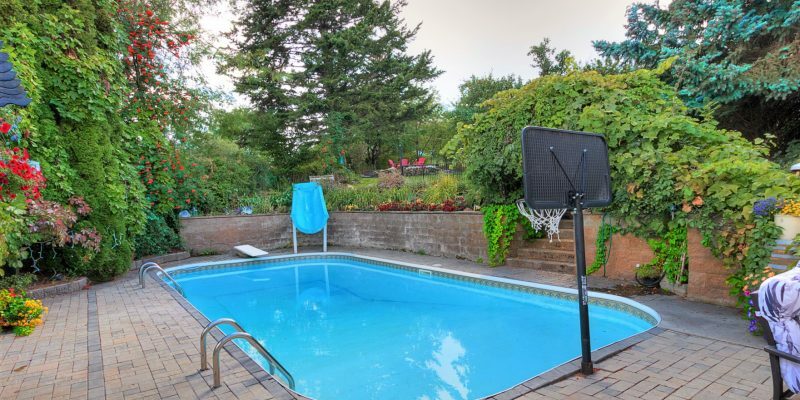 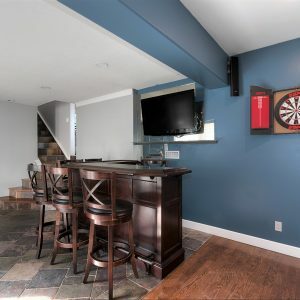 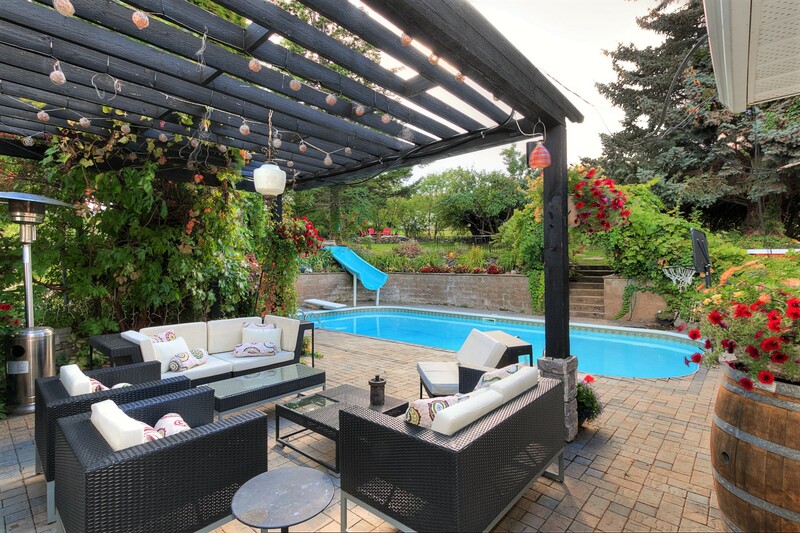 A ping pong/billards table in the games room and move-able bar space that faces french doors that open to your gorgeous outdoor oasis of inground pool and covered trellis. 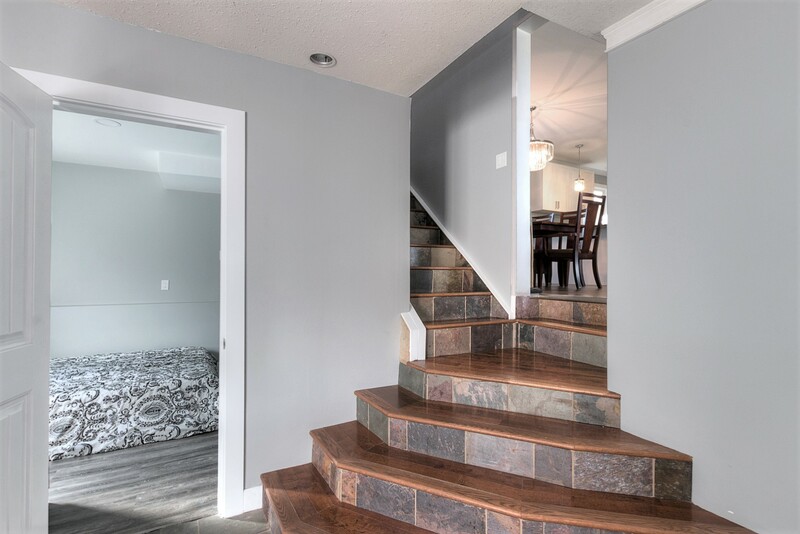 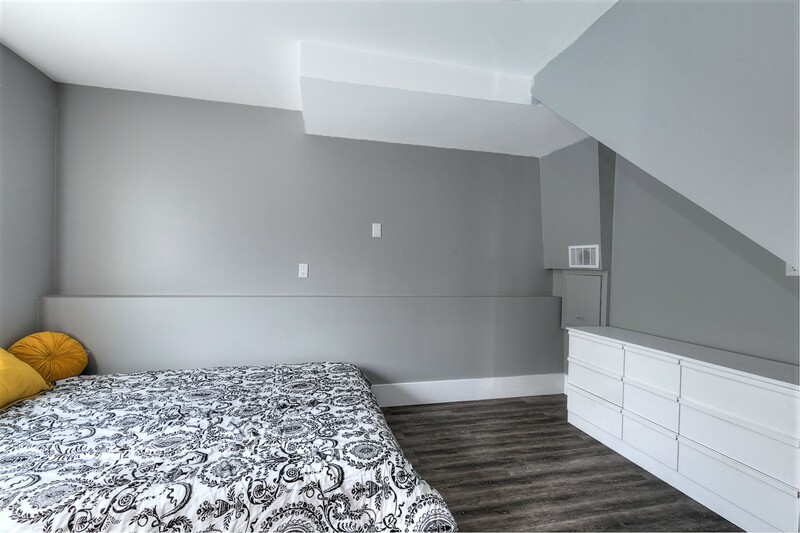 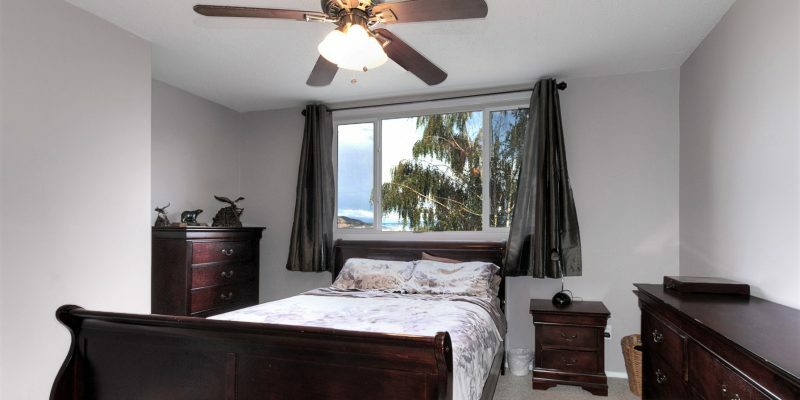 A total of 4bdrms, 2 baths and a private master bedroom with ensuite located on its own upper floor. 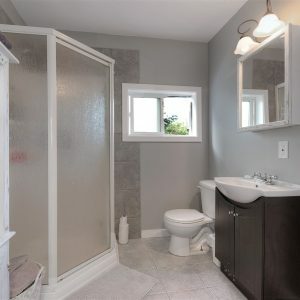 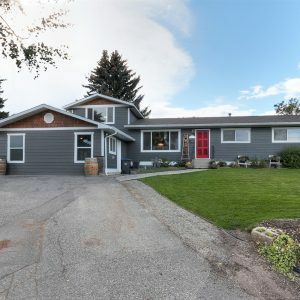 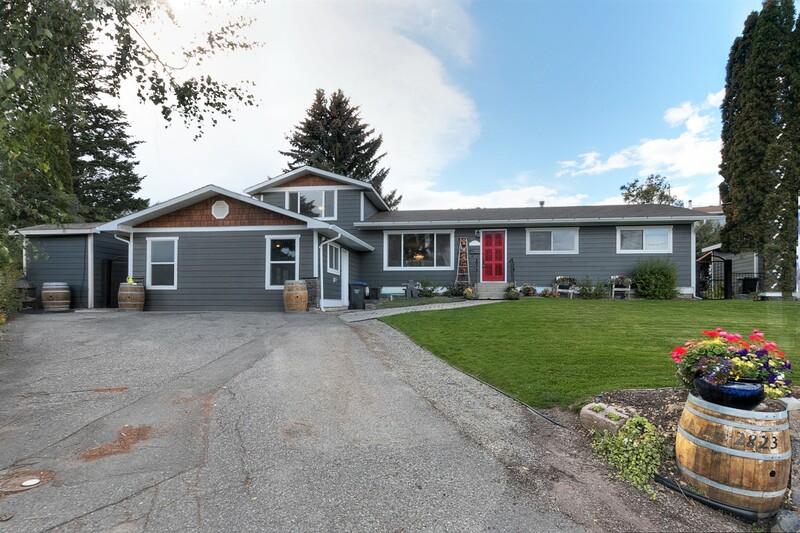 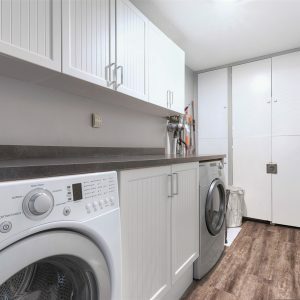 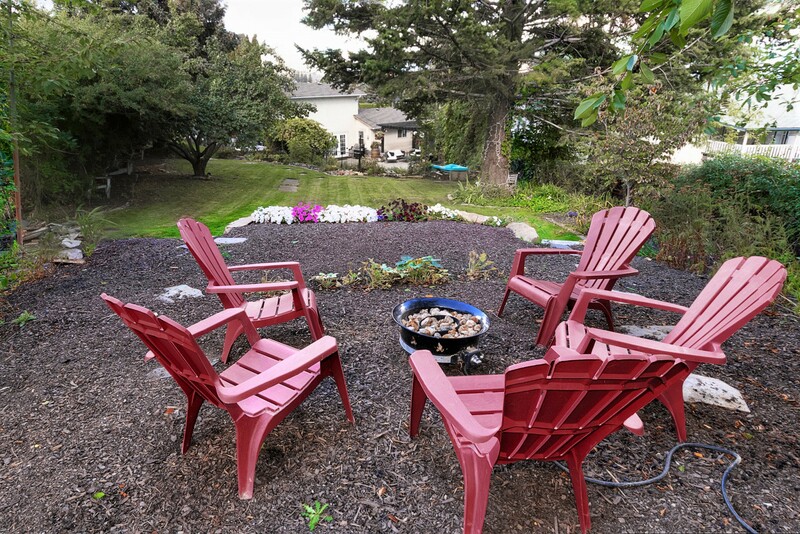 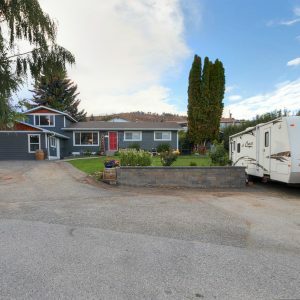 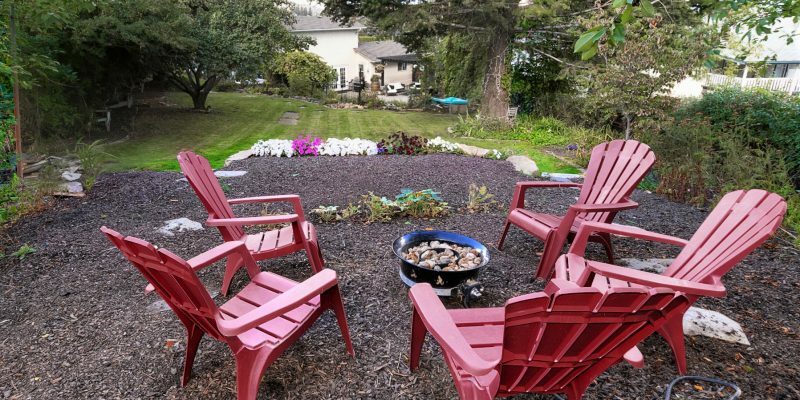 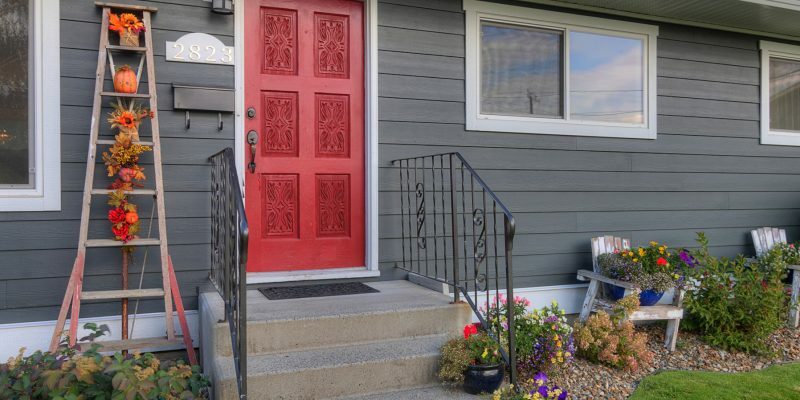 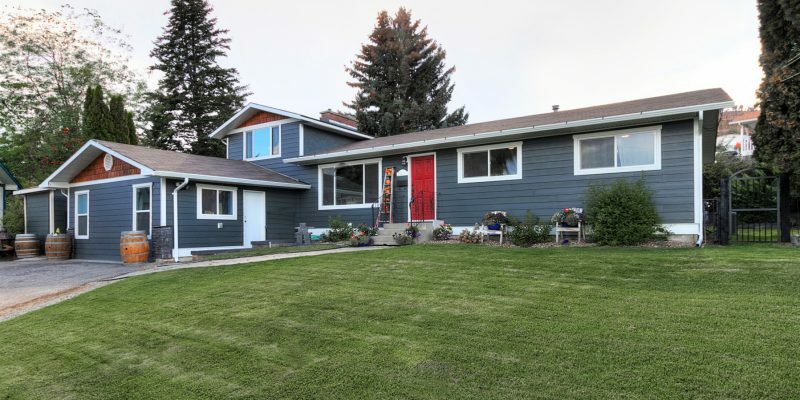 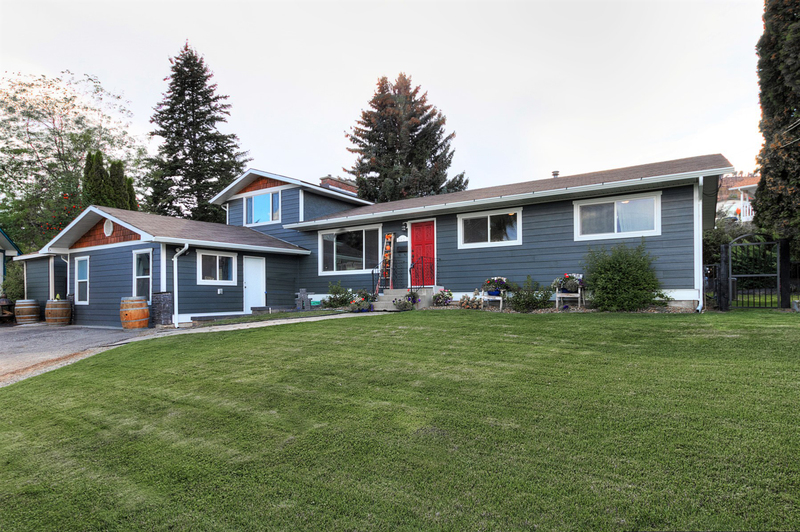 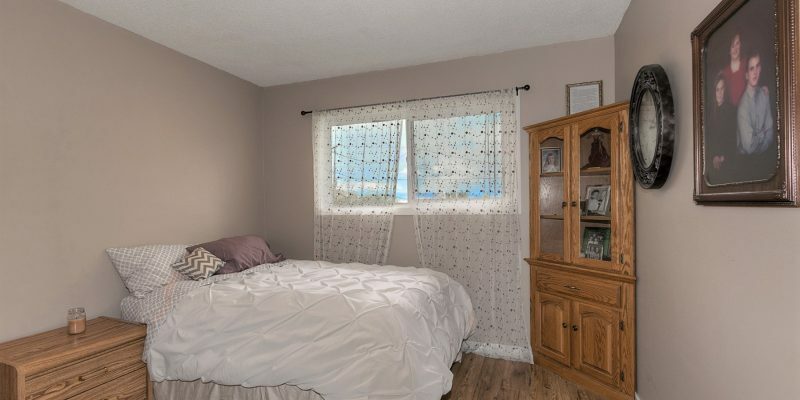 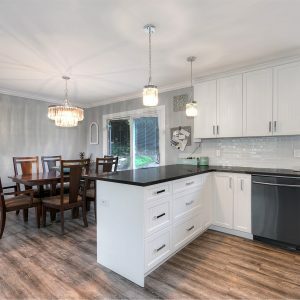 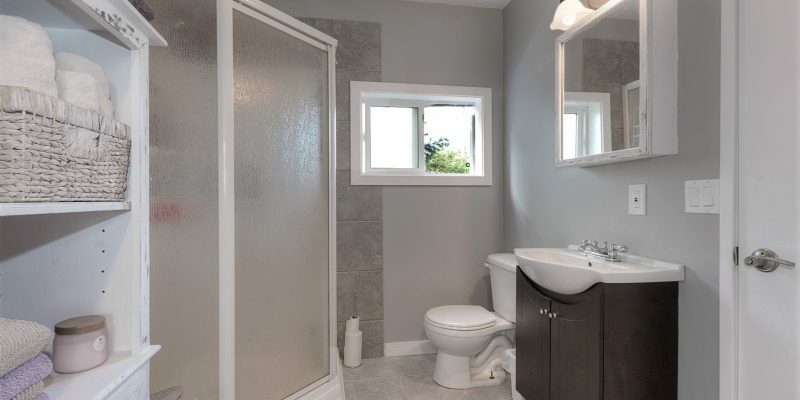 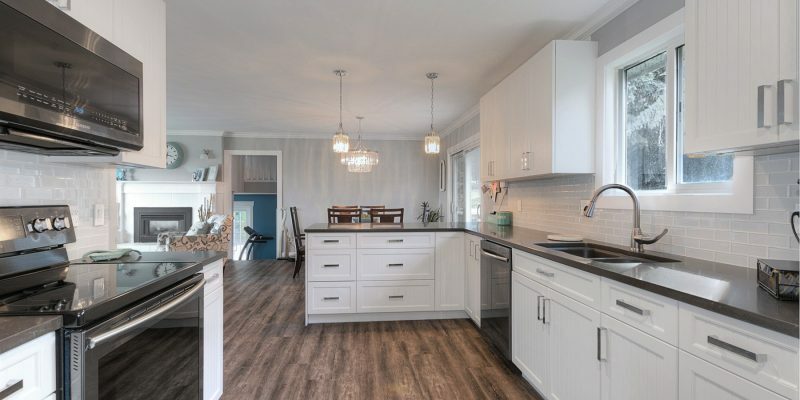 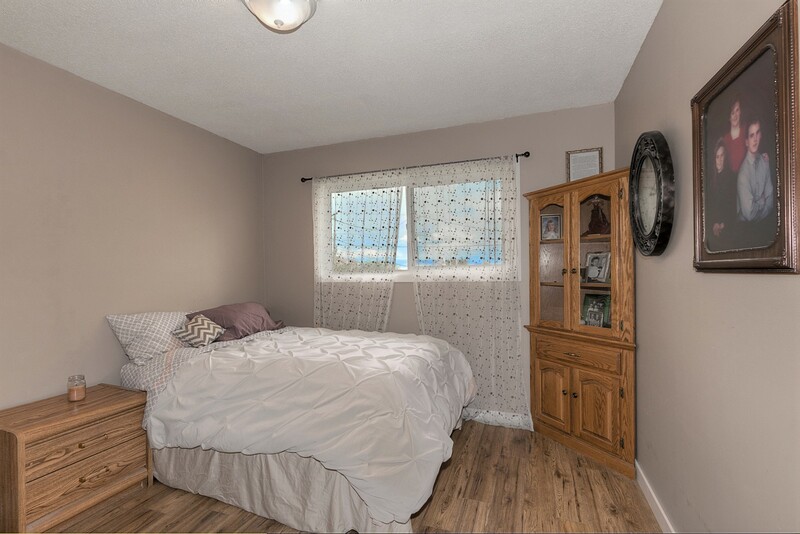 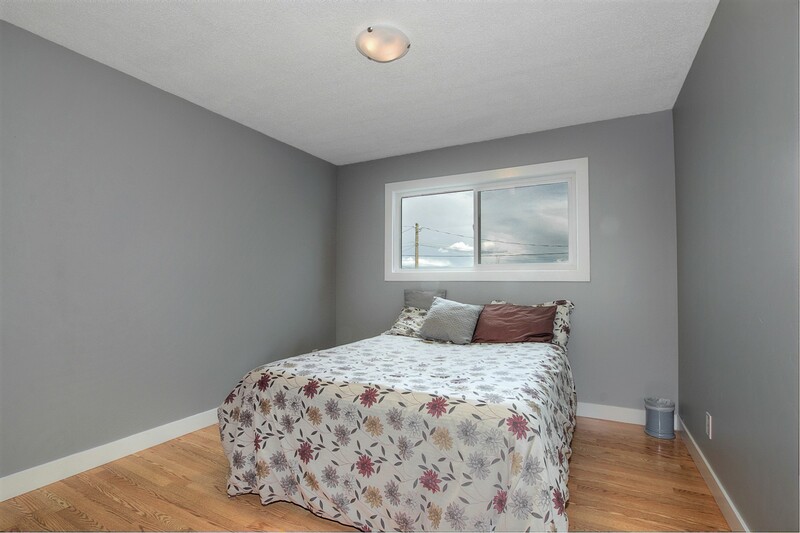 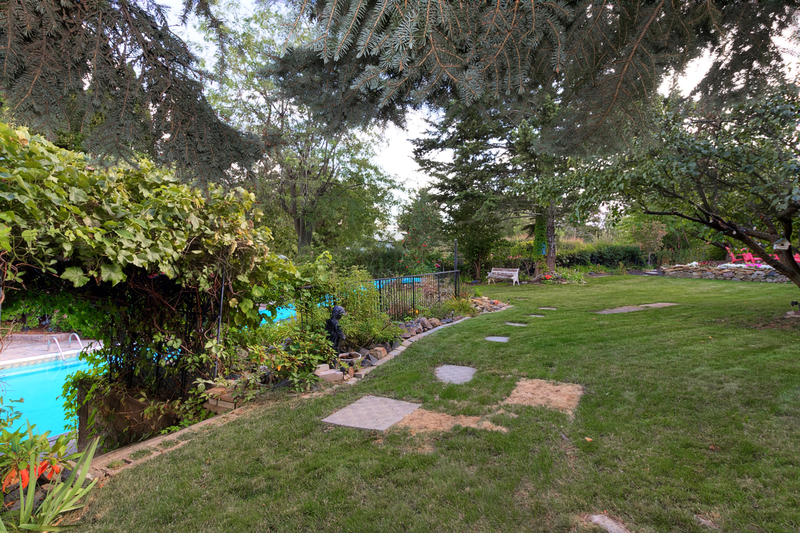 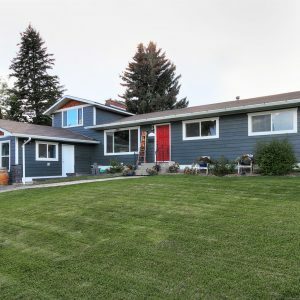 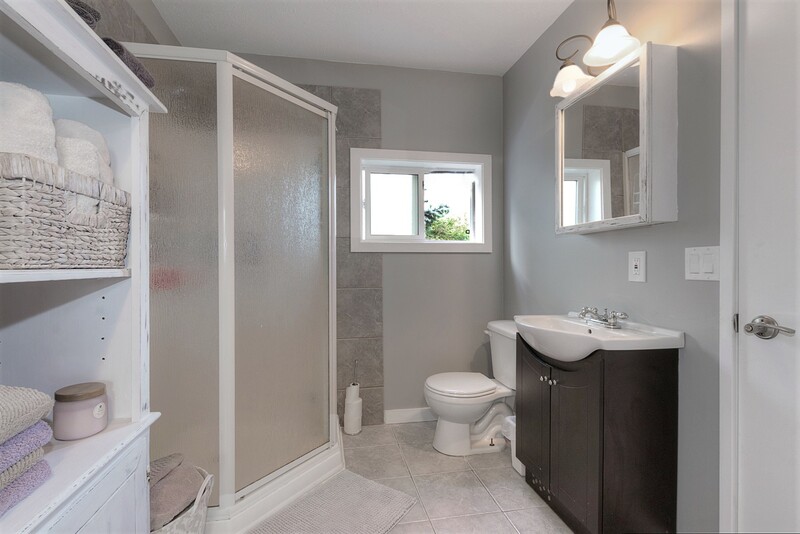 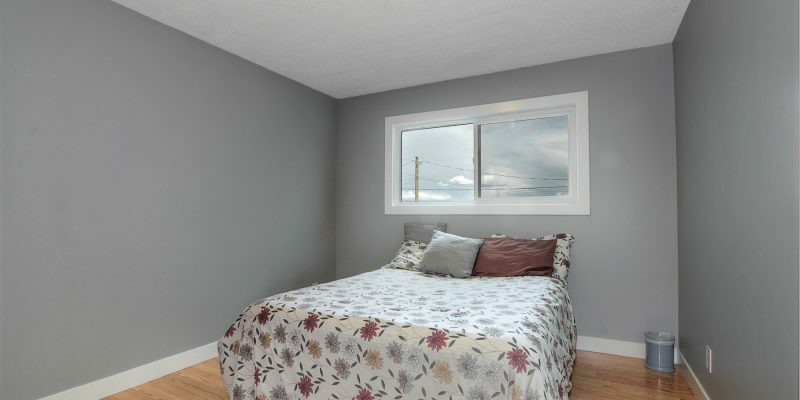 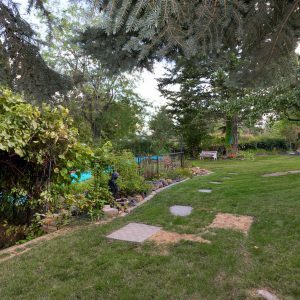 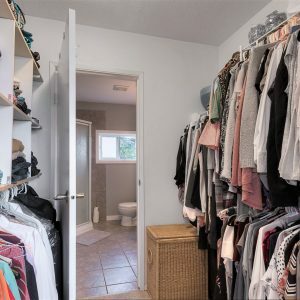 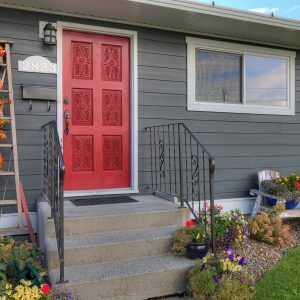 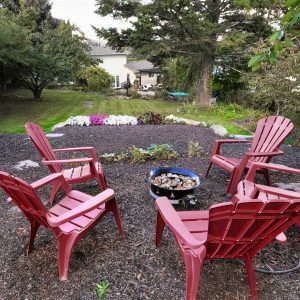 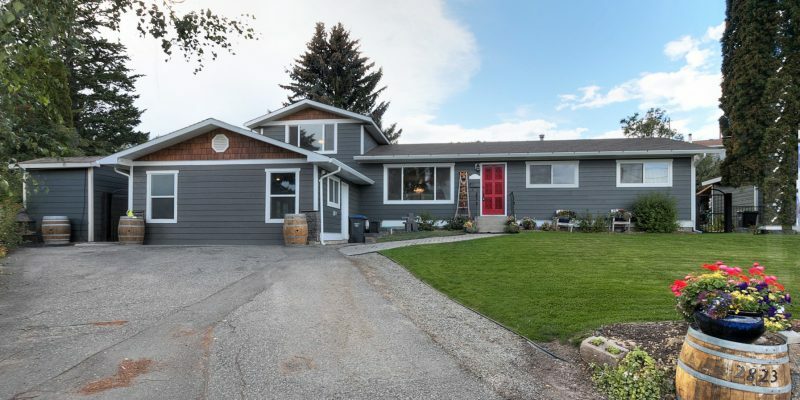 A large 0.36 acre lot, with sewer connected, newer water main; along with new exterior siding, new windows, newer furnace, hot water tank, A/C, updated insulation and approx. 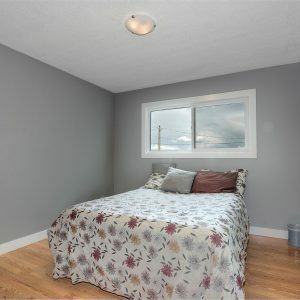 15yrs left on roof. 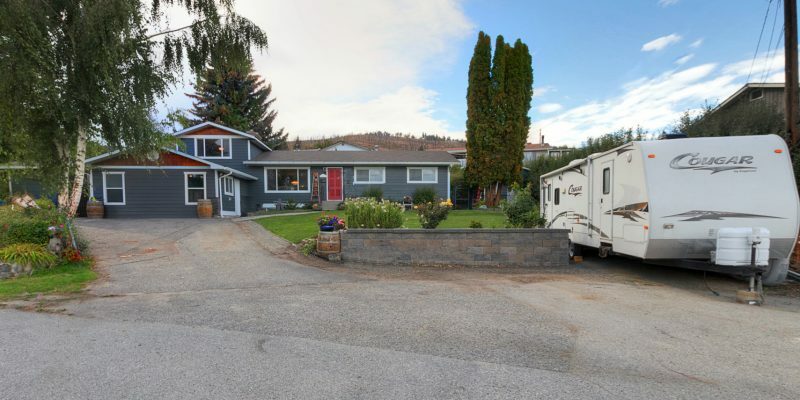 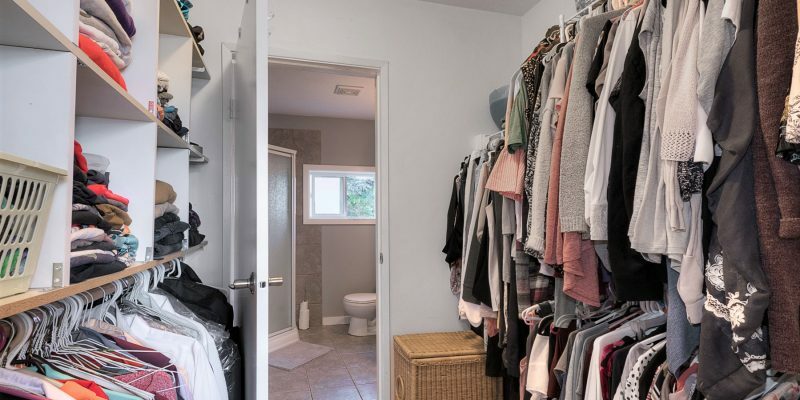 Just move in with your fam jam and enjoy lots of parking for guests, RV parking and lots of shed storage. 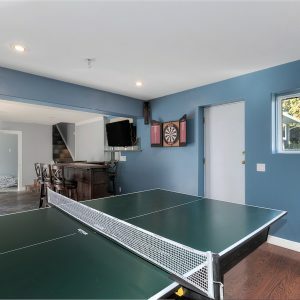 Only a 24 min. 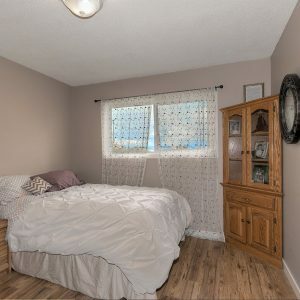 walk or 5 min. 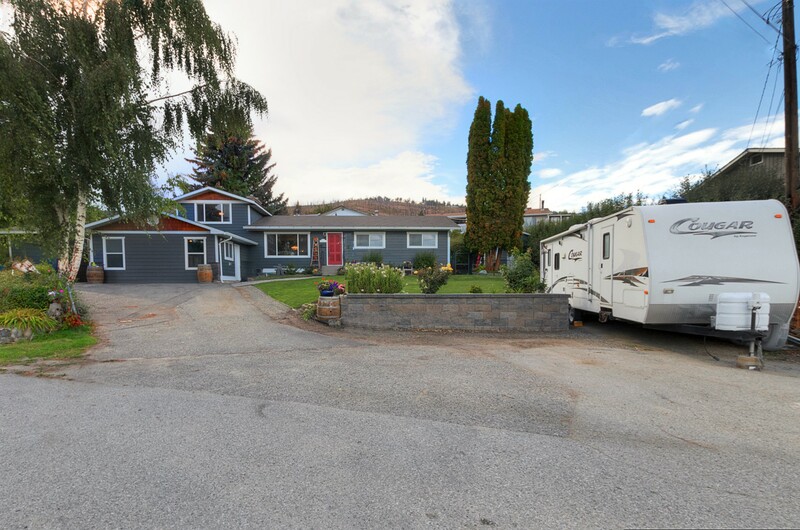 drive to Glenrosa Middle School and Glenrosa Elementary. 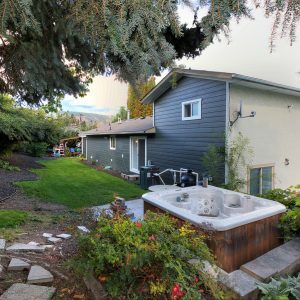 On the weekends drive down the hill to Lake Okanagan Boucherie Beaches, the lake boardwalk or cross country ski /snowshoe/hike the Glenrosa backcountry trails in the winter. 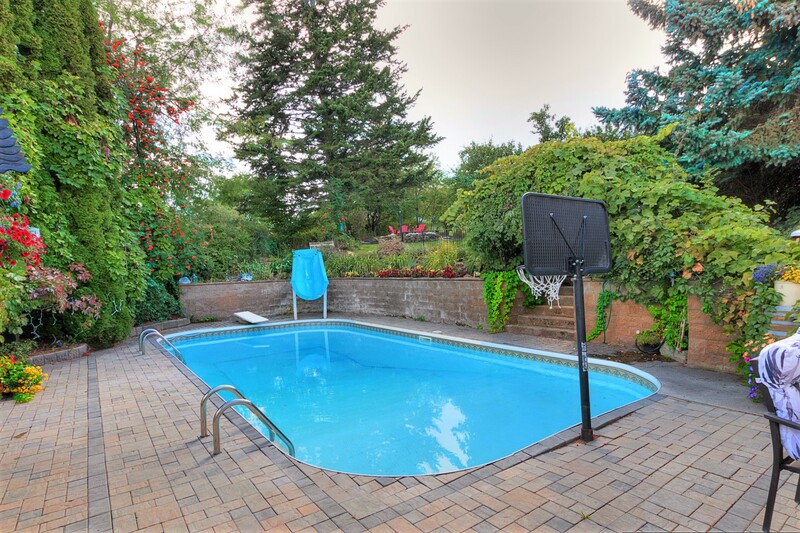 All the amenities of Westbank are only a short drive away as well. 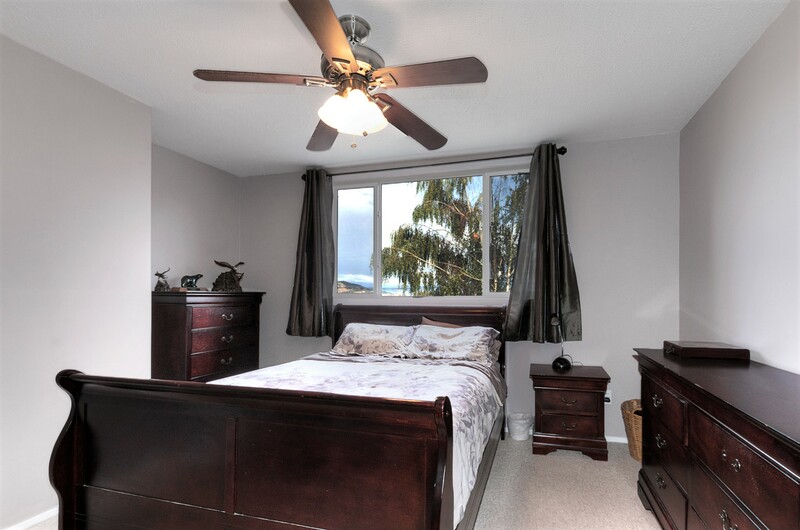 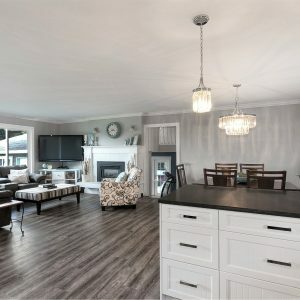 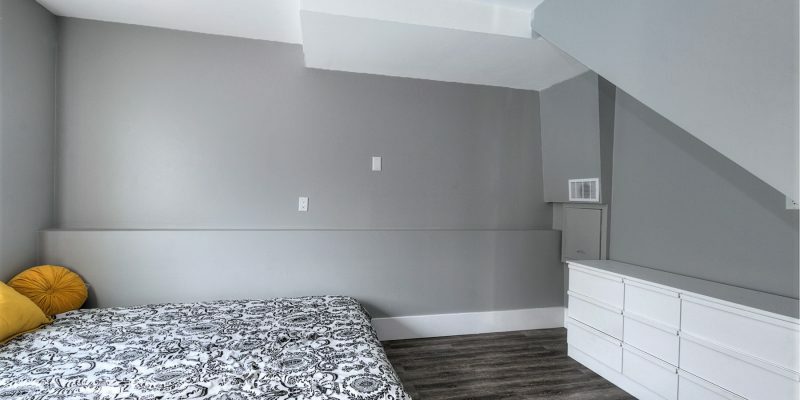 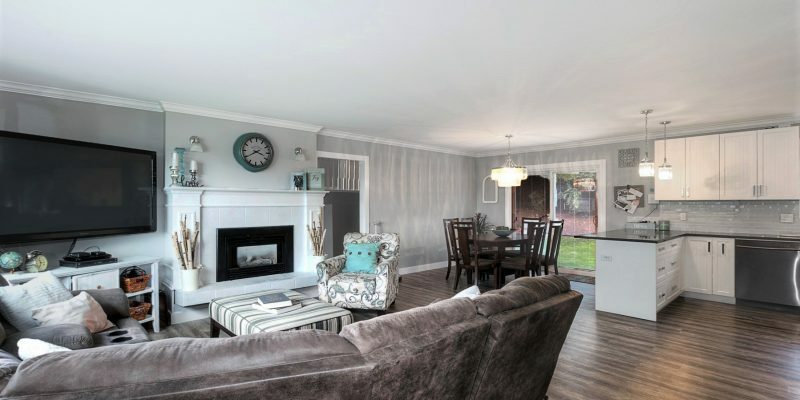 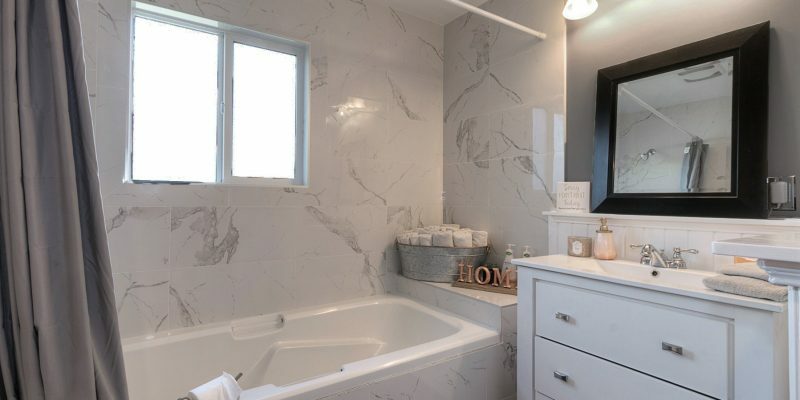 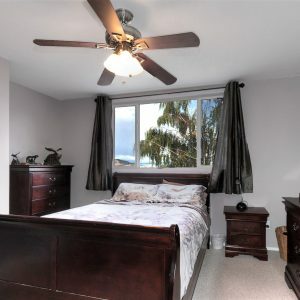 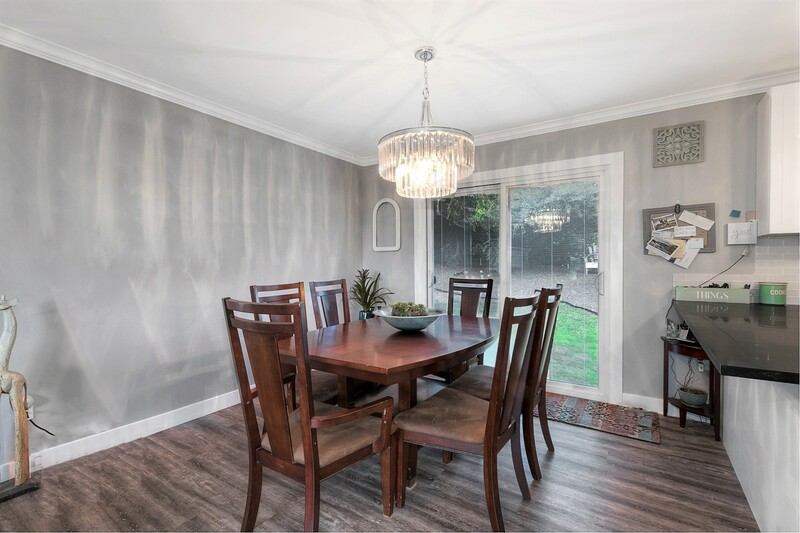 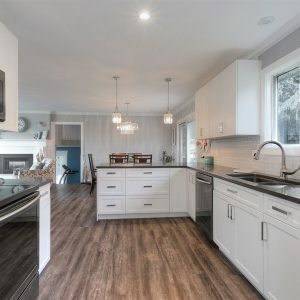 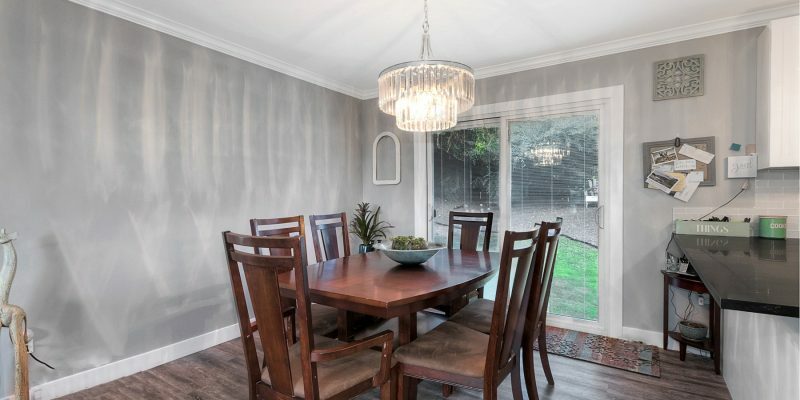 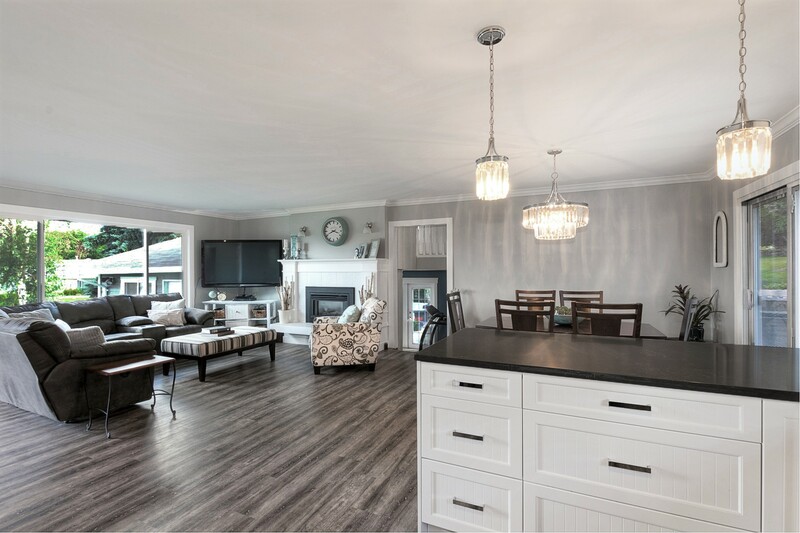 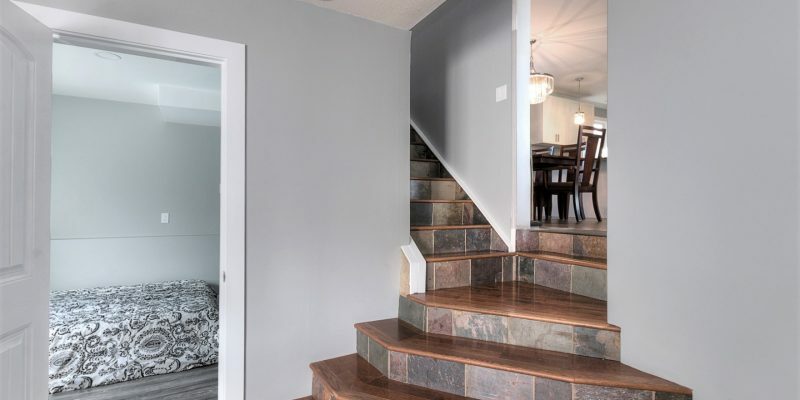 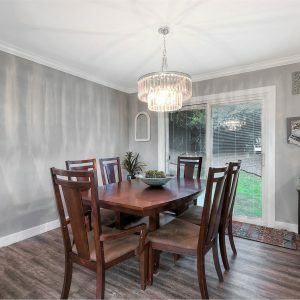 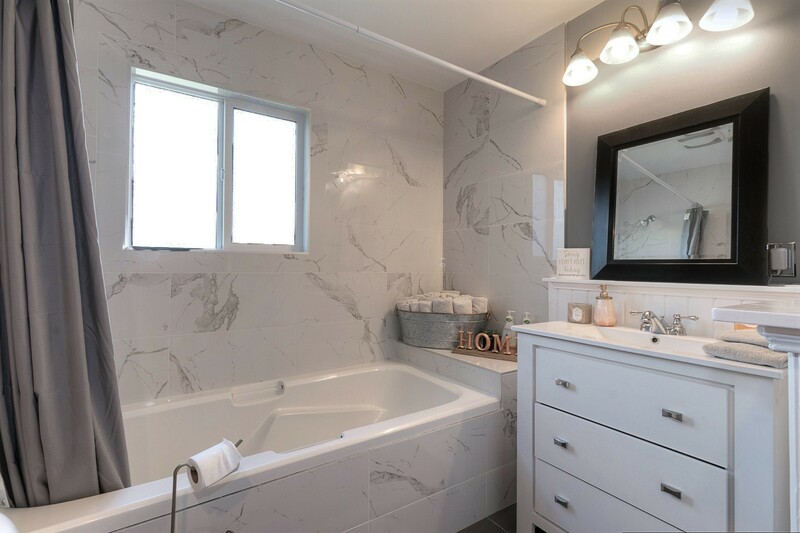 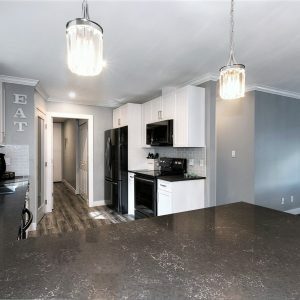 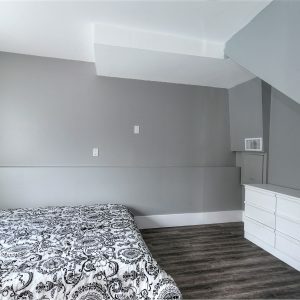 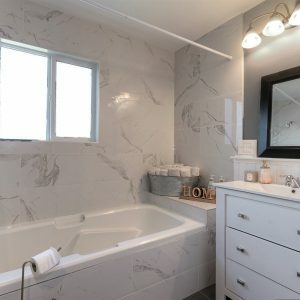 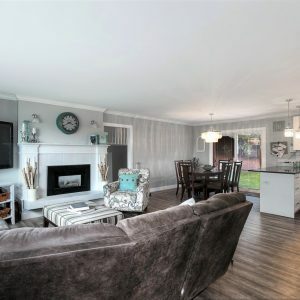 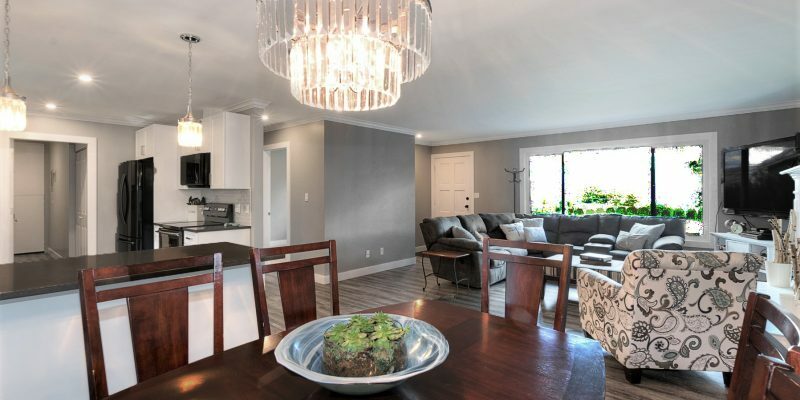 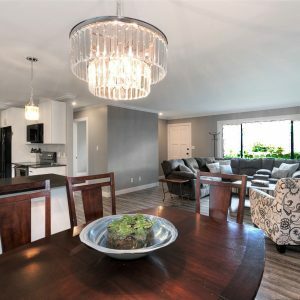 If you commute regularly to the coast, you will love this location as the highway connector is only 5 minutes away. 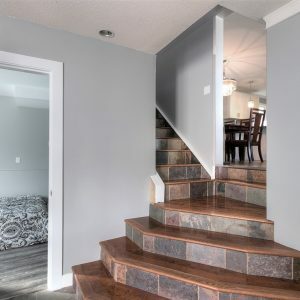 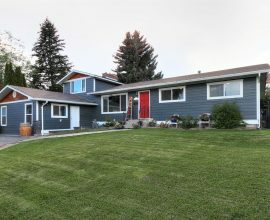 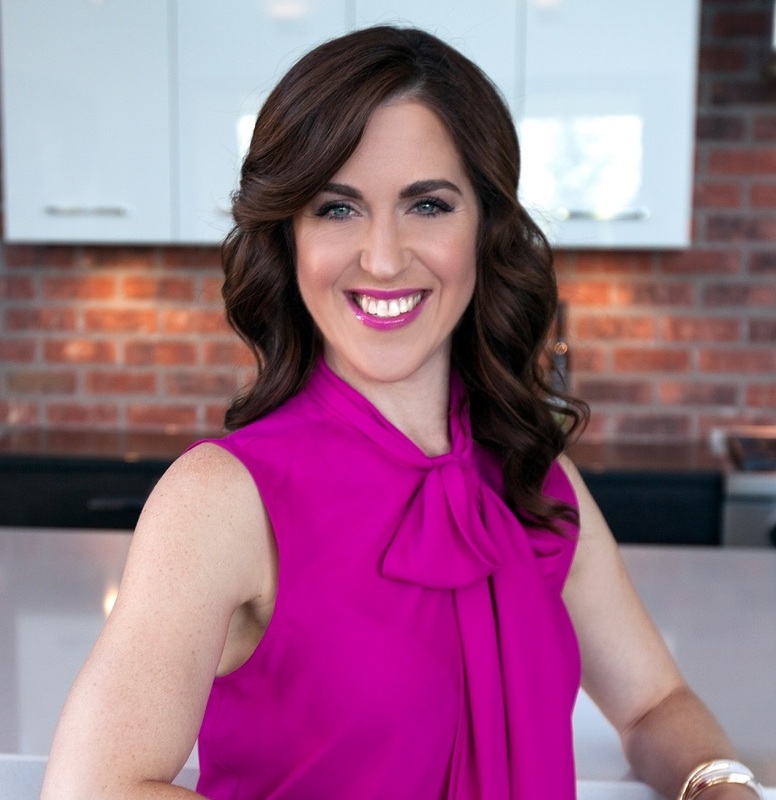 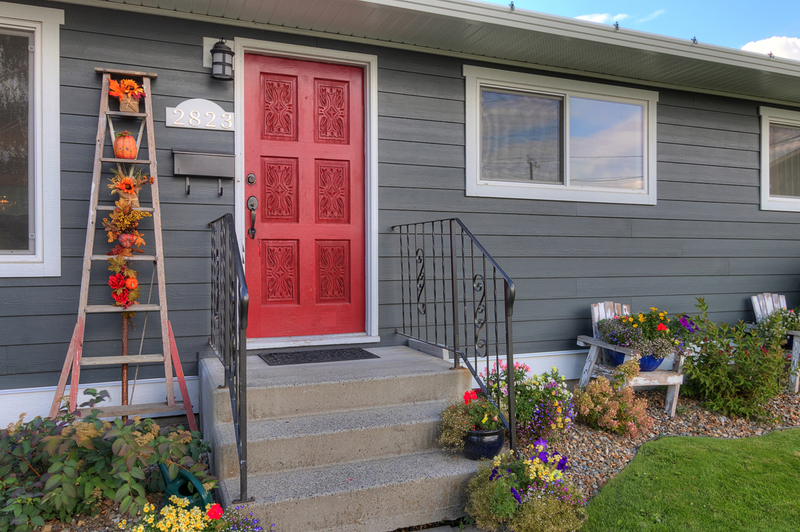 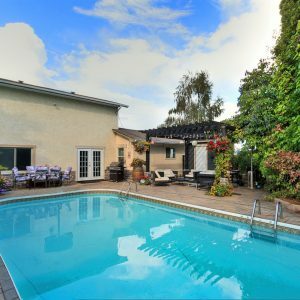 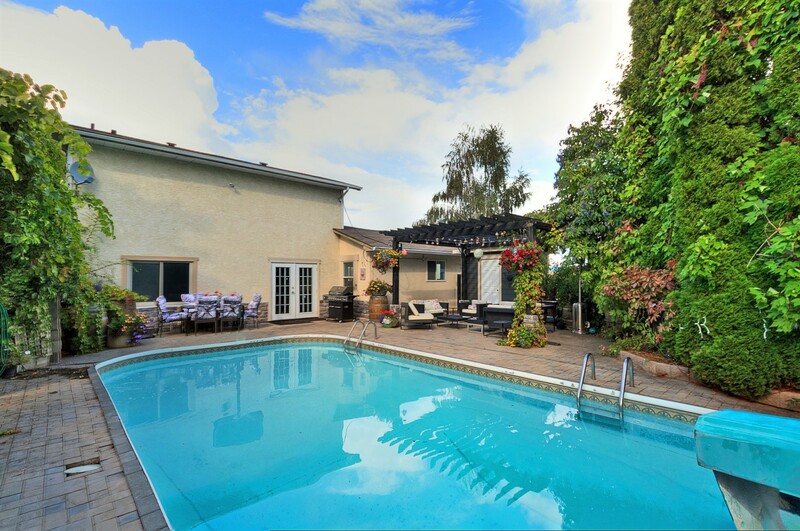 Visit GoldilocksEstates.com Or text Gillian at 250718-5324 to book your showing today.